The government has ignored pressure to hold an “urgent” review of the student finance system, which is predicted to be holding £330 billion in loan debts by 2044. The Commons Business, Innovation and Skills (Bis) Committee claimed the UK was reaching a “tipping point” for the loan system’s financial sustainability. It had requested an immediate review of the system, and says it is “alarming” this has been dismissed. The Government insists that there is “no immediate pressure” on the system. At the moment, students can take out government-funded loans to cover tuition fees, which cost up to £9,000 a year. Students from England and Wales repay their tuition fee loans when they earn £21,000 a year; in Northern Ireland, they pay back once they earn £15,795 a year. Scottish students who study in Scotland do not pay tuition fees. The debt is written off after 30 years. It added: “The government has no current plans to initiate a formal review of the sustainability of the student loans system in England. “Indeed the OECD’s director for education and skills, Andreas Schleicher, considers that we are the first European country to have established a sustainable higher education system. It pointed out that the costs of the loan system were based on projections of graduate repayments over the next 35 years. However, committee chairman Labour MP Adrian Bailey is concerned that outstanding student debts are set to rise to more than £330bn by 2044. 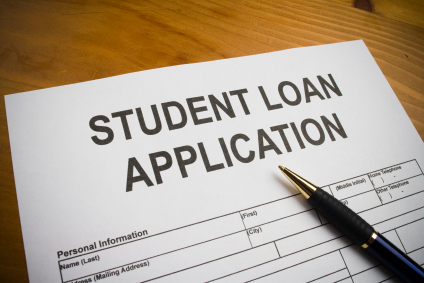 Bis also said that students deserve transparency about the terms and conditions of their loans. The National Union of Students said: “The proportion of graduates failing to pay back student loans is increasing at such a rate that the Treasury is approaching the point at which it will get zero financial reward from the government’s policy of tripling tuition fees to £9,000 a year. Posted in News and tagged finance, Government, review, student loan. Bookmark the permalink.